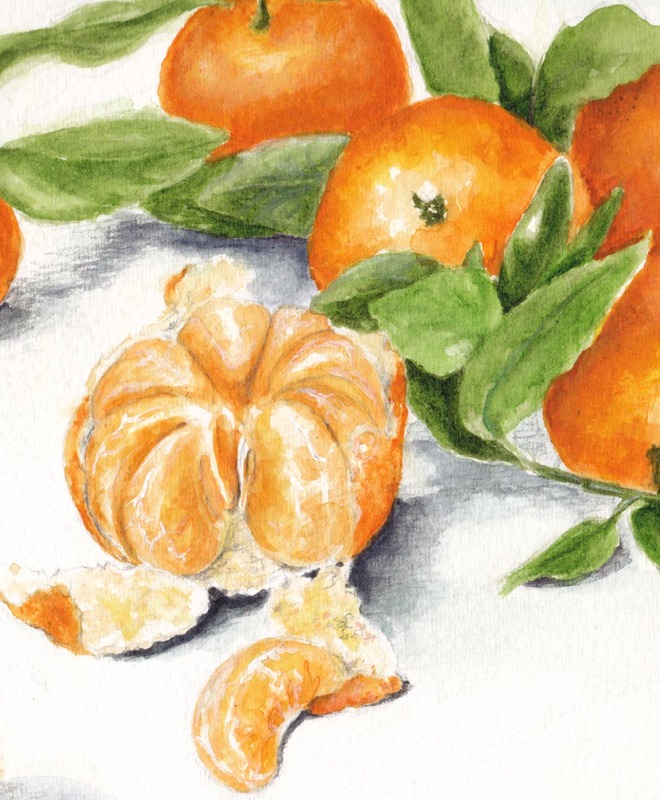 Those little sweet tangerines really do speak of Christmas to me. We always had them when I was little. These days I buy something called Clementines, which are similar. I so love looking at what you've drawn and painted. Your art inspires me and makes me want to do more and do it better. What a wonderful painting this is. Especially the peeled orange! Yummy - the best time of year for these. They are lovely and I can almost taste them. We always got them in our Christmas stockings when I was a girl! i can taste these..mmmmmmmmm good! You have been so productive since I was last here. Love these Mandarins, so fresh and tasty looking. Hmmmmm.... yummy! =) They look delicious and I bet they are. I was never a big fan of them but when I moved out of Asia and realized what I have been missing, I know I love mandarin oranges, but only for a small dosage. Beautifully drawn as always Debra! 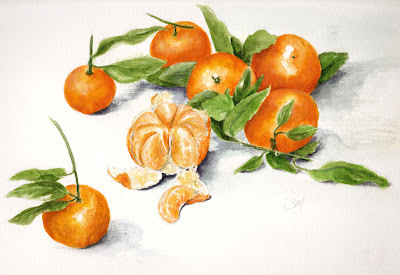 Debra I want to wish you a very Happy New Year....full of more beautiful paintings! Your mandarins are gorgeous, a fruit I love!